Throughout civilized human history flowing water fountains have been used for decoration, social gathering places, sources of fresh water, and for adding ambiance to parks, town squares, and palaces alike. Children the world over instinctively delight in casting coins into fountains to make a wish, and to this day fountains are a prominent feature in locations from city capital buildings to fine private homes. Beyond decoration, flowing water fountains provide a number of benefits for those lucky enough to enjoy them on a regular basis. This article focuses on the benefits of enjoying a flowing water fountain in your home. To me there is nothing more relaxing than the soothing sound of trickling water, but that chill-inducing sound is only the first benefit of owning a fountain of your own. A beautiful home courtyard fountain. Growing up in Florida I was literally surrounded by water. In Florida water is everywhere, and not just in the ocean. There are rivers, lakes, lagoons, and in the summer people joke that rains every day at 2:15 sharp. However, our fair state is, geographically speaking, flat. It wasn’t until I went on a family vacation to North Carolina as a kid that I ever heard the trickling, babbling sounds of water running through a stone-filled stream. On that vacation I was fascinated, entranced even, with that calming sound. I spent hours walking along the creeks and small rivers in the woods where we stayed. For a Florida boy, it was magical. That magical sound of trickling water is one of the major benefits of having a flowing fountain in your home. The sound of trickling water has a natural calming effect on children and adults alike. The sound can not only relax you as you listen, it can effectively drown out other noises such as the neighbor’s barking dog, the lawn service using a leaf blower down the street, or even a teenager’s stereo a few doors down in your apartment building. The soothing sound of running water that a fountain provides is one of my favorite benefits. In days of old fountains in or around the home were considered a luxury available to only the wealthiest members of a society. In ancient Rome a town’s fountain was a matter of civic engineering skill and an indication of the town’s standing. Many provinces and villages prided themselves on having the most elaborate or beautiful fountain in their town square. In those days the fountains were not merely for decoration, but were used by the townspeople to wash clothes, collect fresh water and even bathe in. Today the fountain has become a treasured decorative item for many people throughout the world. Fountains are no longer the privilege of a select few. Even the smallest fountain can add an element of sophistication and panache to your home’s environment. A fountain at the front door is said to be good feng shui and is always a nice detail to welcome you or visitors to your home. 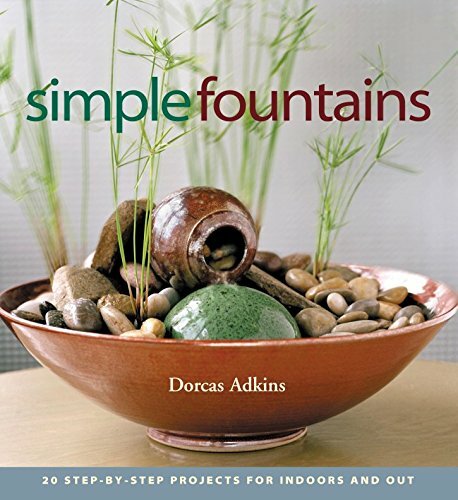 A tabletop fountain can add a touch of calmness to your home office or living room. And a fountain in your courtyard or on your back porch can turn your otherwise standard patio into a peaceful retreat. The designs and styles of fountains are nearly endless these days. Pick up any interior design magazine and you are likely to see fountains and water features in the finest custom homes. Glazed clay urns are converted into overflowing water features, and traditional tiered fountains from small to large become focal points inside and out. If you are looking for a fountain to use as a decoration in your home, a bit of research is sure to find the exact item to add some water-feature style to your décor. There are many humidifying machines designed to increase moisture in the home, but none do the job more beautifully than a flowing, trickling, relaxing water fountain. In fact, a flowing water fountain is a very effective humidifier. A fountain can add moisture to the air of a room, a patio where plants are grown, or any space that may benefit from increased moisture in the air. The moving water acts as a natural dust attractant and can, thereby, clean the air. At the same time, a fountain with moving water can create a naturally humid environment for anyone who could benefit from humidified air. * Heaters and air conditioners often remove moisture from the air; a fountain can help balance out that depletion in a beautiful, soothing way. In this age of self-help and motivation we tend to shy away from anything negative. However, there is one negative element that can be a powerful benefit to our wellbeing: negative ions. Negative ions are molecules that we inhale in abundance when near waterfalls and ocean coastlines. Throughout history flowing water fountains have been used for decoration, social gathering, fresh water, and ambiance. Fountains have been a source of civic pride and status symbols for both wealthy cities and wealthy families. Children gravitate toward fountains to make wishes and fountains are prominent features from city capital buildings to fine private homes. A flowing water fountain in your home provides several benefits. These benefits include the soothing sounds of trickling water that can not only relax the listener, but can drown out noise pollution as well. In addition to the soothing sounds, a fountain can provide stately decoration to an environment and any fountain, large or small, is a welcomed addition to liven up a plain décor. 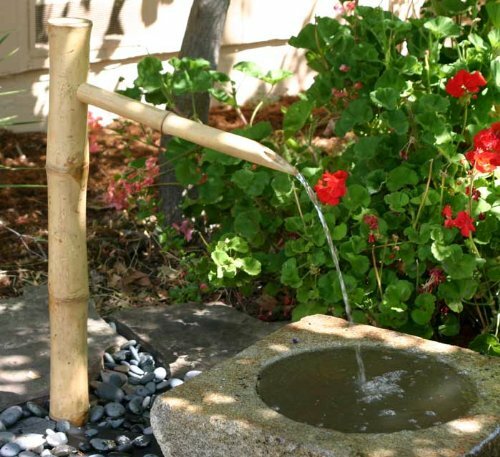 Add a fountain to your home or patio and enjoy the benefits of relaxing, trickling water today and for years to come.